Yes, I realize that Valentine's Day is over. But still, it's not. Here, in Sweden we celebrate Valentine's on the 14th. Meaning that today is Valentine's Day for me. How will I be spending my Valentine's Day is a good question. Well, I was planning on meeting up with some friends but it all got really complicated so I think that's off the chart. So, I'm probably spending this Saturday in my bed with my current read; Where the Road Takes Me by Jay McClean. I'll probably call over my friend Jennifer and we'll bake a chocolate cake of some sort and we'll celebrate how good it is to be single. I think that sounds like a plan. And yay, it just got confirmed. I'm surprised how well it works out by writing: "JENNIFER SPEND VALENTINES WITH ME ILL BAKE YOU A CHOCOLATE CAKE AND WE'LL WATCH SOME CHEESY ROMANCE MOVIES AND CELEBRATE HOW AWESOME IT IS TO BE SINGLE" Yes, all in capital letter and all in the same sentence. What are you reading for this love weekend? Something you'd mind to share? I would like to share some romance recommendations for you. I realize that a lot people have probably already read this but I still want to make some noise about it since the sequel is being released in a few months! 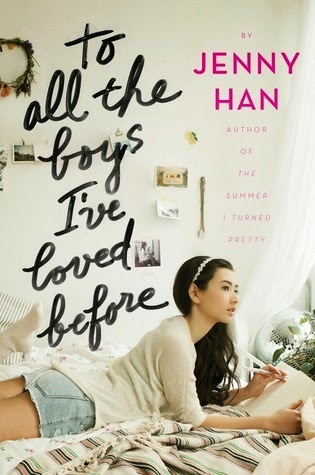 Blurb: To All the Boys I’ve Loved Before is the story of Lara Jean, who has never openly admitted her crushes, but instead wrote each boy a letter about how she felt, sealed it, and hid it in a box under her bed. But one day Lara Jean discovers that somehow her secret box of letters has been mailed, causing all her crushes from her past to confront her about the letters: her first kiss, the boy from summer camp, even her sister's ex-boyfriend, Josh. As she learns to deal with her past loves face to face, Lara Jean discovers that something good may come out of these letters after all. Why you should read it: Have you ever wished for that book? The book you could get through on just one day? This is that book. Jenny Han has a special writing style that just makes the words flow. The whole story goes by in smooth words and intrigues you until the very end. A must read! 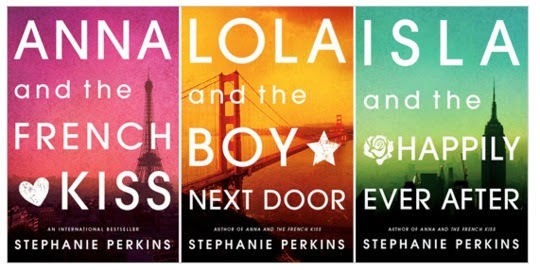 Anna and the French Kiss, Lola and the Boy Next Door & Isla and the Happily Ever After are all amazing books. It took me three days to get through all three books - with school. I actually don't think I've ever met anyone that does not like these books. And I would be surprised if I ever did. Anna, blurb: Anna is looking forward to her senior year in Atlanta, where she has a great job, a loyal best friend, and a crush on the verge of becoming more. Which is why she is less than thrilled about being shipped off to boarding school in Paris--until she meets Étienne St. Clair. Smart, charming, beautiful, Étienne has it all...including a serious girlfriend. Lola, blurb: Lola Nolan is a budding costume designer, and for her, the more outrageous, sparkly, and fun the outfit, the better. And everything is pretty perfect in her life (right down to her hot rocker boyfriend) until the Bell twins, Calliope and Cricket, return to the negihborhood. When Cricket, a gifted inventor, steps out from his twin sister's shadow and back into Lola's life, she must finally reconcile a lifetime of feelings for the boy next door. Isla, blurb: Hopeless romantic Isla has had a crush on introspective cartoonist Josh since their first year at the School of America in Paris. And after a chance encounter in Manhattan over the summer, romance might be closer than Isla imagined. But as they begin their senior year back in France, Isla and Josh are forced to confront the challenges every young couple must face, including family drama, uncertainty about their college futures, and the very real possibility of being apart. Why you should read these books: First of all, have you seen those covers? I would want to read them only because of their covers. Second of all, they include Étienne St. Clair and if that is not reason enough for you, I seriously don't know what is. Also, of course the books are incredibly, incredibly good. Why you should read this book: My question to you is: what reason do you not to read it? Blurb: Malorie Blackman brings together the best teen writers of today in a stunningly romantic collection about love against the odds. 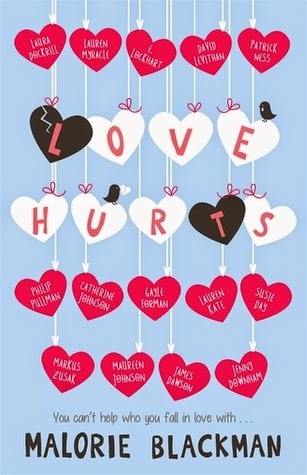 Featuring short stories and extracts about modern star-crossed lovers from stars such as Gayle Forman, Markus Zusak and Patrick Ness, and with a brand-new story from Malorie Blackman herself, Love Hurts looks at every kind of relationship, from first kiss to final heartbreak. Why you should read it: I have no idea since I haven't read it. 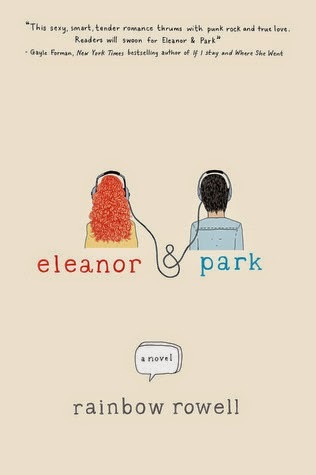 Though, it sounds amazing and I really want to read it! That would be all, I guess. So, have a good continuation to you Saturday and a good continuation to those who celebrate Valentine's Day today!